Left: A closeup picture of Erica tetralix showing the crossed leaves. 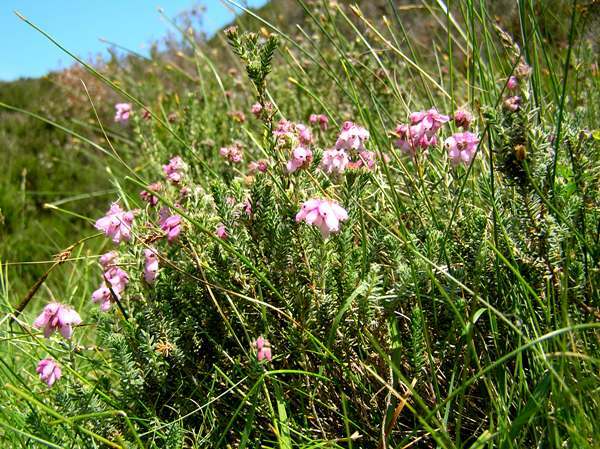 This short heath species blooms from June until October in upland Wales. We took this photograph on the flat moorland top of Llanllwni Mountain, to south-east of the Teifi Valley. 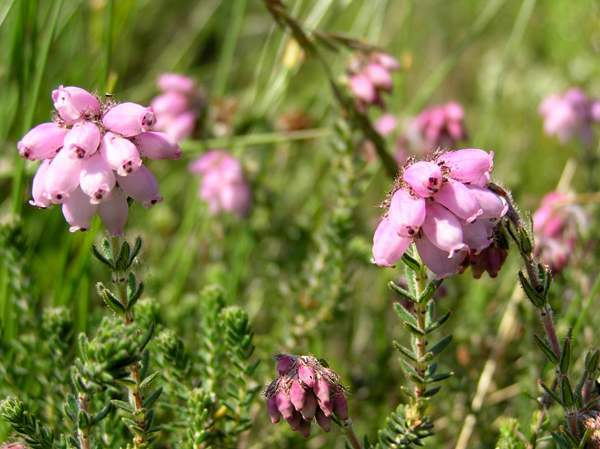 The delicate flowers of cross-leaved heath are paler than those of bell heather, but otherwise the flowers are similar in size and shape; however, whereas bell heather prefers dry soil, cross-leaved heath thrives in damp, peat-bog areas. A distinguishing feature is the leaf arrangement of this plant: the leaves are set in whorls of four.